Ravi Jayawardena Group CEO of Maliban receiving the Prestigious Brands of Asia Award flanked by Marketing Manager of Maliban Biscuit, Kasun Thotagamuwa Marketing Manager of Maliban Agri, Gotabaya Attanayake. Inspiring goodness for over 60 years, Maliban Biscuits Manufactories (Pvt.) Ltd, was bestowed with the coveted international ‘Prestigious Brands of Asia 2018/19’ Award by Heralds Global & BARC Agency at an event held in Dubai recently. The Prestigious Brands of Asia Awards recognizes brands that have authenticated their objectives to create the future by embracing a combination of their advanced products or services and have contributed in transforming the economy. Moreover, these brands by virtue of their unique value propositions and attributes have established an incomparable set of beacons and reinforced a profound and meaningful marketing connect with their customers. Continuing the winning streak for the second consecutive year, The Prestigious Brands of Asia Award is a result of Maliban’s continuous commitment to improve, Trust, Image building, Sustainability, Goodwill, Growth and product Innovation in the markets where company operates in. Over 500 eminent brands representing multiple categories from countries such as Thailand, UAE, India and Singapore were nominated for this year’s ‘Prestigious Brands of Asia’ award 2018/19. Nominated brands underwent a stringent, three phase evaluation process. While the first phase of research comprised of evaluating the industry reports, market surveys and brand reports, the second phase focused on identifying the brand perception among the target audience. The final phase further scrutinized the nominated brands by rating them on a scale of 1 to 10 (where 1 is the lowest and 10 is the highest). 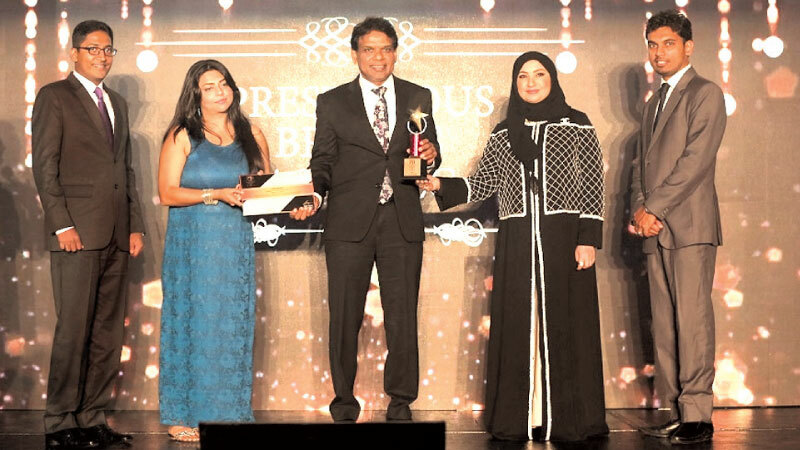 Commenting on the recognition, Ravi Jayawardena Group CEO of Maliban noted “It gives us immense pride and honour to be recognized at the Prestigious Brands of Asia Award for the second consecutive year. The award is a testament which reflects the strong commitment, dedication and goodwill we bring into the market that we operate in. We at Maliban have strived to provide world class products and services to our valued customers by instilling quality and innovation in our core business operations. With our drive to become the game changer in the FMCG category, we continue to challenge ourselves to keep abreast with the dynamic trends of customer lifestyle to come up with ground breaking products that would soothe all our loyal taste buds be it locally or internationally.